News and updates from Katrin Schnabl. Henrik Vibskov film still for 0000:State On State coming to SAIC Sullivan Galleries this week! Katrin Schnabl collaborated with Riyadh-based Art of Heritage for a capsule collection earlier this year. Art of Heritage is a organization in Saudi Arabia that helps empower women while preserving their cultural heritage. This capsule collection has been featured in the October issue of Harper's Bazaar Arabia. This past Thursday, Katrin Schnabl teamed up with the District 39 Educational Foundation by showing two looks in their “Attire to Inspire” Fall fashion show. Proceeds from the fashion show went to District 39’s Gripp Grant program, which helps create programs and expand opportunities for the school’s curricula. Designer Katrin Schnabl and the label’s cofounder and CEO, Birgit Rohm, were invited to speak at the Arts Club of Chicago on their experience of traveling to Riyadh, Saudi Arabia to collaborate on a unique capsule collection with the charity Art of Heritage. Arts Club members were given the opportunity to experience the process behind this unique cross-cultural collaboration through a Q&A and slide presentation, as well as a display of pieces from the collection, with proceeds from sales going towards supporting the women artisans who created them. On July 22, 2015 guests were invited to discover our latest collection together with Ash + Ames’ unique jewelry line supporting a network of female artisans around the world. Perfectly aligned with our own mission to empower and inspire women, we organized an intimate shopping experience for clients and friends at our charming Old town studio. 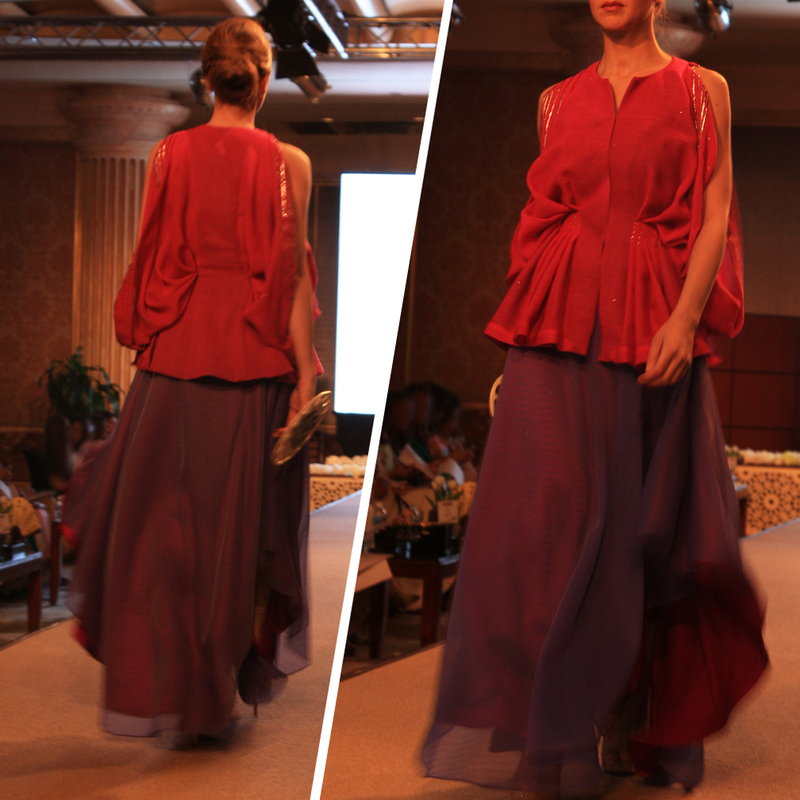 It provided the perfect backdrop for a unique concept of luxury; one which goes towards sustaining artisans and empowering women. A portion of the proceeds went to the charity Every Mother Counts. In April, Katrin Schanbl participated in a fashion show in Riyadh, Saudi Arabia to launch a unique capsule collection in collaboration with Art of Heritage, a charitable organization with a dual mission to preserve Saudi Arabia’s cultural heritage while empowering women in the Kingdom. Working closely with Art of Heritage’s embroidery and tailoring workshops, Schnabl created a modern sophisticated collection designed with Saudi women in mind. Guests were invited to a fashion show to celebrate the launch of this unique collaboration, and could place orders on exclusive styles, which came in a variety of traditional and modern fabrics in addition to color combinations, handpicked by the designer for Art of Heritage’s clientele. This exciting collaboration represents a new approach to luxury, one that will evolve with a series of future collections that will transform Saudi Arabia’s traditional tailoring and embroidery techniques into timeless modern pieces. The collection will also be available at Art of Heritage’s retail stores.